At KCHC, we provide comprehensive dental services including emergency care, preventive care (in the form of dental cleanings, sealants, fluoride treatment and oral hygiene counseling), and routine dental care. We also provide restorative care as well as, other comprehensive dental treatment. Our services extend to all ages, including children, where we highly encourage parental involvement. We accept most major dental insurances, including Medicaid. Our sliding scale program is also available. Oral health is closely linked to our overall health, even though it’s a common occurrence that we don’t see the inherent benefits of maintaining routine dental services. Our providers understand the value of providing quality dental care at an affordable cost, not only in Kinston, but to several other surrounding counties. Routine dental care not only brightens your smile, but it also provides countless benefits to your overall health. Regular cleanings help to reduce the damaging effects of plaque by removing it before it breaks down tooth enamel and causes cavities. In adults, gum disease is a prominent cause of tooth loss, as plaque builds up below the gum line and begins to break down the supportive bone in your jaw. Regular, affordable dental cleanings significantly reduce the chances of tooth loss; much in the same way it prevents cavities. Your mouth serves as a window to your overall health, and in fact, most dentists have the ability to detect early stages of disease through routine oral exams. Many life-threatening diseases like heart disease and stroke actually reveal themselves in your mouth before you begin to experience physical symptoms. You can think of your dental care as a preventive form of care that saves you from more costly and extensive procedures both with your mouth and your body. Dr. Vasquez obtained her DMD Degree from School of Dental Medicine of Union of Puerto Rico. She was in private practice for 33 years and has been an employee of KCHC for 14 years now. 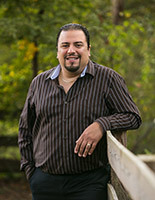 Dr. Rafael Torres obtained a bachelor's degree in Biology in 1999. He then graduated with honors from the University of Puerto Rico Dental School in 2004. Dr. Torres also works full time at Earp Dentistry in Greenville, NC. 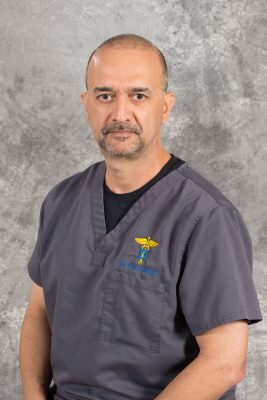 Dr. Torres enjoys spending time with his wife and daughter, participating in water sports and scuba diving. Dr. Mendez graduated from the University of Puerto Rico, Rio Piedras, in 1998 with a degree in Natural Sciences. 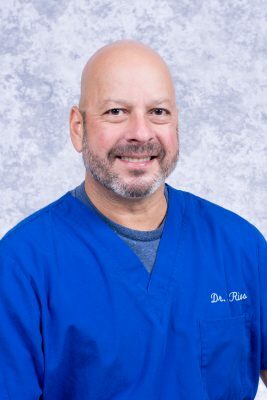 He then attended the University of Puerto Rico, School of Dental Medicine, where he graduated in 2002 and won the Raymond Baralt Award for his professionalism, leadership, and love for the dental profession. 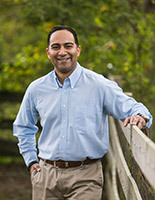 Dr. Mendez also works full time at Earp Dentistry in Greenville, NC. In his spare time, Dr. Mendez enjoys spending time with his wife, Wanda, and his two children, Cesar and Gaby. As a family, they enjoy traveling and visiting the beach. Photography is one of Dr. Mendez's passions, and he enjoys taking pictures of their travels to make the memories last a lifetime. Married with four children and two dogs, Debra Eriksen has lived in eastern North Carolina for 16 years. She has been a practicing dental hygienist for nine years and has been a part of the KCHC dental provider team since 2003. 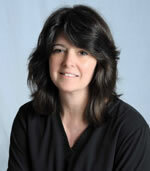 Leah Hough is a North Carolina native and has been a practicing dental hygienist for twelve years. 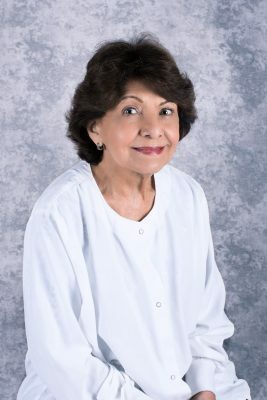 She has served KCHC dental patients since 2001. Sakietheia Griffin is a North Carolina native. 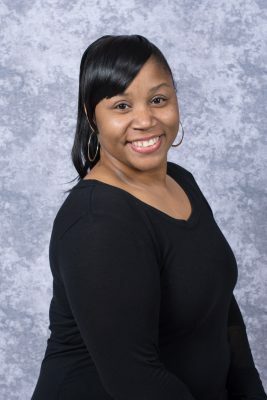 She obtained her Associate in Applied Science Medical Office Administration in 2011 from Lenoir Community College and Associate in Applied Science Office Administration in 2015 from Pitt Community College. She also received a Diploma in Dental Office Administration in 2015 from Pitt Community College. 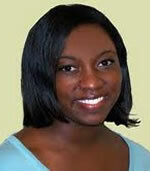 Sakietheia joined KCHC Dental Department January 2004. She is married and has three children and 1 grandchild.